This is a client that recently started coming to me. 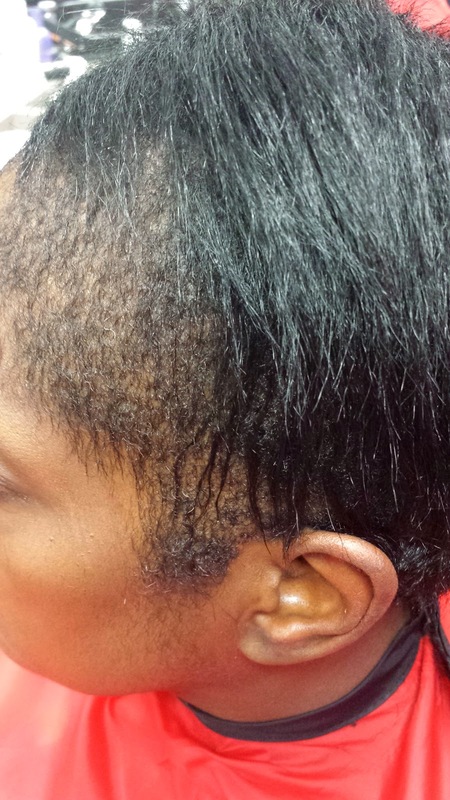 She was getting a relaxer (by a professional stylist, but not me!) every four weeks like clock work and eventually her hair could not take it any more. She told me that it was like one day she woke up and all of her hair was gone. Nothing gradual about it, no shedding, it just left all at one time. So now I am on a mission to help her get her healthy hair back. The picture below (on the left) is the first day she came to me. As you can see, the hair is just about bald with a few strands her and there. At her first appointment I did a reconstructive treatment. This is to help any remaining weak hairs gain more strength. For the next appointment which was the following week, I did a protein treatment. The protein is very similar to the reconstructor. The protein helps the hair become stronger and helps it stop breaking. 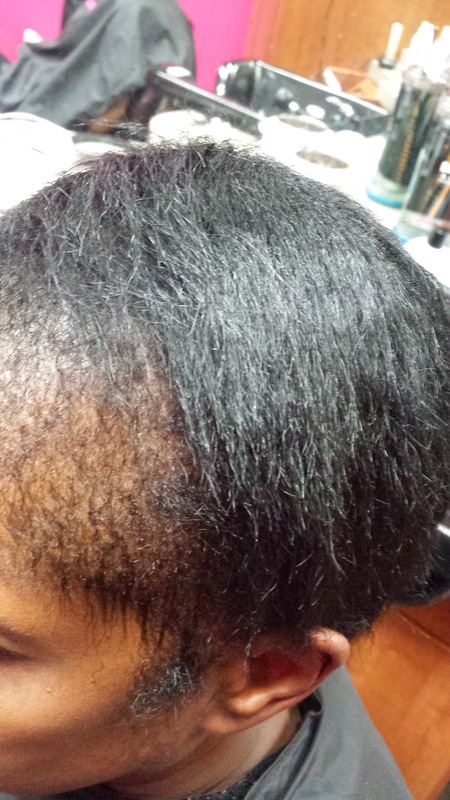 I also did a moisturizing treatment immediately following the protein treatment to add the moisture back in the hair. For the next appointment (another week later) I did a moisturizing treatment only. I had already done a reconstructor and a protein treatment but had done only one moisture treatment so I did the second moisture treatment to even it out. Healthy hair has an equal balance of moisture and protein so I did not want the hair to have more protein than moisture. The next week (week 4) I did a regular shampoo set. At this point the damage has already been done and will more than likely not get any worse so now I can just give it the tlc that it needs to be nurtured back to health. If you look at the picture with the red cape on, it is the week four picture. You can see that the hair is already starting to grow back. There is less scalp showing and more fuzz. Fuzz is a good thing because it will eventually gain some length and become long luscious locks. 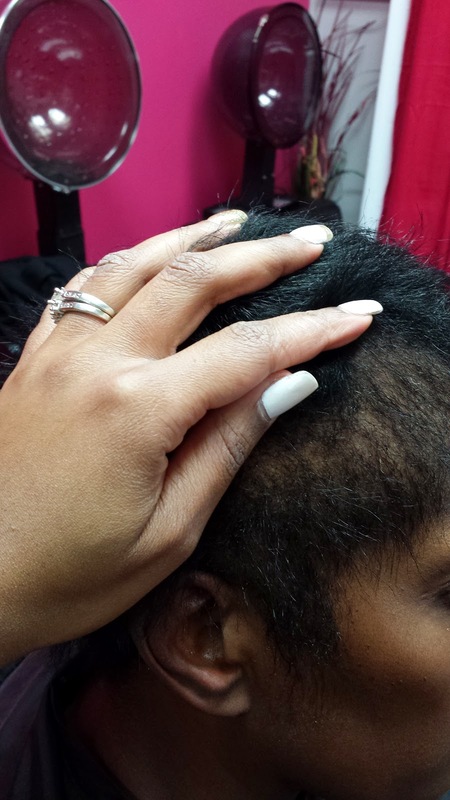 Remember that the average rate of hair growth is one half inch per month so although her journey will be a slow one, the progress that she has had so far is good. This is the other side of the head and it appears to be growing faster than the other side. She should be close to having one inch of growth by week eight so I will continue to monitor her hair at this point. 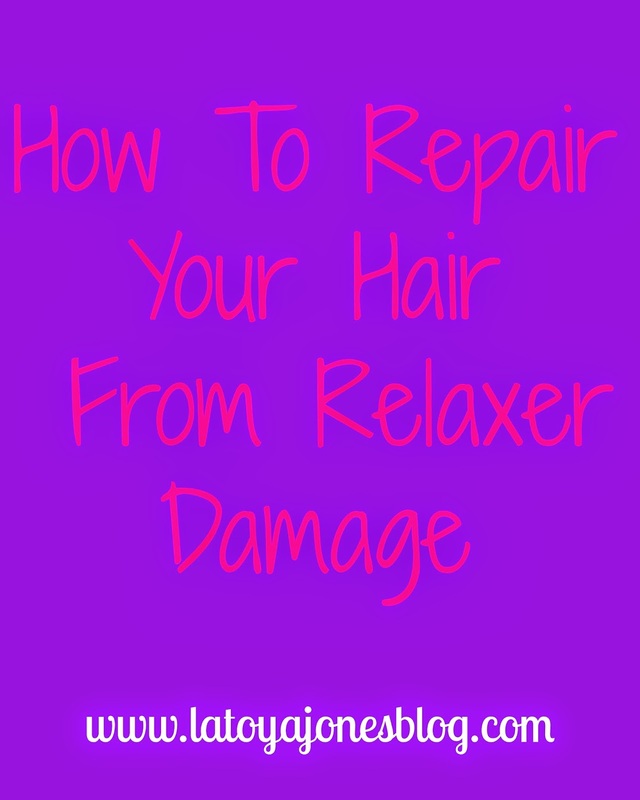 I will be shampooing and conditioning with Silk Hydration products but at home maintenance will also play a critical role in her hair's health. Absolutely no heat can be applied while she is at home and she must wrap it daily to control her split ends. Without doing these things all of the treatments in the world will not make the damage stop. 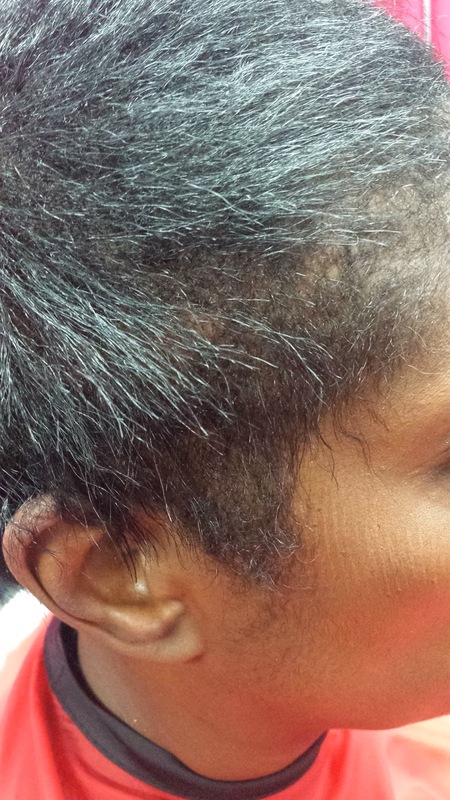 Shampoo the hair weekly to circulate blood flow in the scalp which helps with hair growth. Only use heat once weekly on very low heat. Do not get any more relaxers for a minimum of sixteen weeks or until you get two inches of new growth, whichever comes faster. Love reading your post but I am a little confused by the difference in a reconstructive treatment and a protein treatment. I thought they were one in the same. Can you please explain further on the difference between them both.